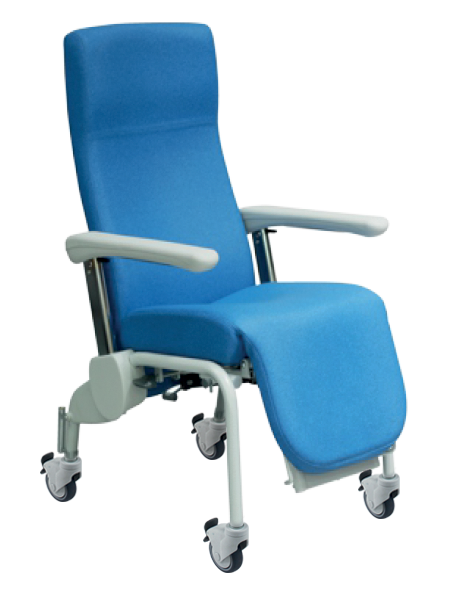 Our Ergoflow rest chairs with adjustable leg-and backrest allow the patients to relax without suffering from stress in their neck, back or legs. 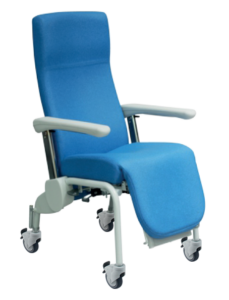 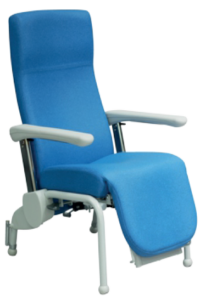 Our chairs are available with padfeet or wheels and are equipped with height adjustable armrests which are completely retractable to enable transfer from chair to bed. In order to guarantee a better hygiene, the seat is easily dismountable and seams are limited.